The Forestry Mod also adds three different ores which are Tin, Copper, and Apatite. Tin and Copper are pretty standard metal ores that you can combine to form bronze, but the more noteworthy of these is Apatite, which is rare but can be used as a fertilizer to speed up your farming related tasks. The goal of Forestry Mod 1.12.2 is to automate tree farming as much as possible without becoming entirely overpowered. 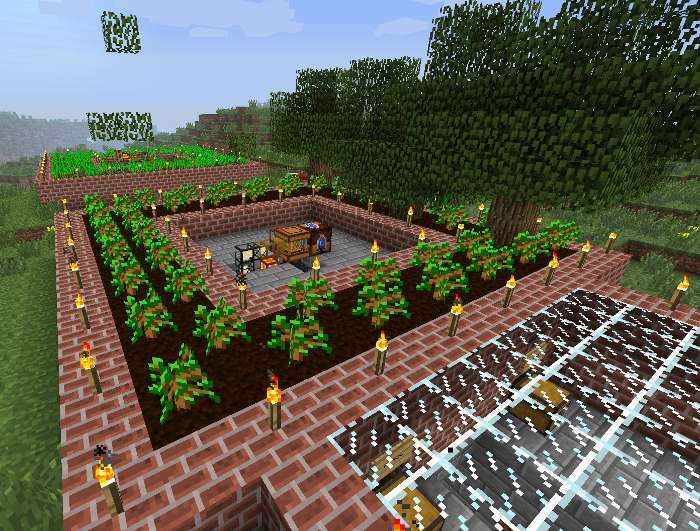 This mod also adds bees, rubber trees, pipes, machines and more.. Compatibility with several mods, most notably Buildcraft, IndustrialCraft 2, Railcraft and RedPower 2.